Spring is upon us, bringing with it 30 new direct flights, including 21 new destinations, added to the Lyon Airport’s list of departures. Indeed, in addition to these routes, offered on a regular basis only in summertime, certain year-round flights have also been added on or confirmed. 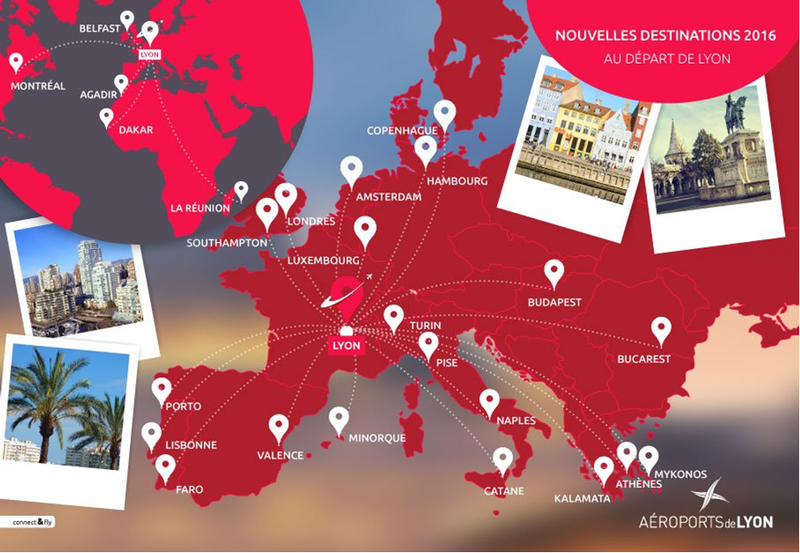 For example, HOP!, Fly Kiss and IG Avion have increased the number of domestic and cross-border connections with, respectively, Brive/Aurillac/Luxembourg, Lorient and Châteauroux, with year-round flights and up to 16 per week for Luxembourg. 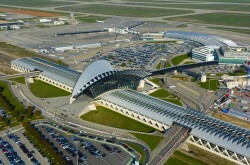 Other airlines are focusing on European destinations. Among these new connections is Aeroflot, which will fly to Moscow 3 times a week starting in June; Aigle Azur, with flights already operating to Dakar and Porto (between 2 and 4 times per week); Air Canada with a flight to Montreal between 4 and 5 times per week depending on the season; Blue Air with service to Bucharest twice a week; easyJet, already offering service to Amsterdam (4 per week), Copenhagen (3 per week), Budapest (3 per week), Naples (2 per week) and Faro (3 per week); and Flybe, which is starting regular service to Southampton, Manchester and Hanover about 7 times per week. With 64% of its traffic coming from outside of France (2014), in 2015, Lyon Saint-Exupéry handled more than 8.7 million passengers. Thanks to these new flights, bringing the number of routes to 115 direct destinations from Lyon, the city has strengthened its central position in Europe.